Today is National Hairball Awareness Day, but guess what? I've never hacked one of those up! I get regular grooming from Dad, so when I take a bath I'm not ingesting all of that loose hair. Mom had two different tools she used on me before Dad moved in: a brush and a de-shedding comb. They did an okay job, but when we got the FURminator we realized how much better it could be! Dad gets a TON of hair out of me now-way more than he ever did with the other tools. Not only that, but he likes to brag about how much softer my coat is. Mom even said it was shinier! I was a handsome man-cat before the FURminator...can you imagine how attractive I'm going to be to the lady-cats now?? Check out this cool creature Mom and Dad made out of my FURminated hair. Her name is Ellie because she looks like an elephant! MOL! Mom is so silly! In honor of National Hairball Awareness Day, everybody should get their humans to give them a good brushing with whatever grooming tools you might have. Nobody likes coughing up a wad of fur, so do what you can to prevent it from happening! I recieved a free FURminator deSHEDDING tool, but the opinions in this blog are my true and honest feelings about the product and were not influenced by receiving the product for free. 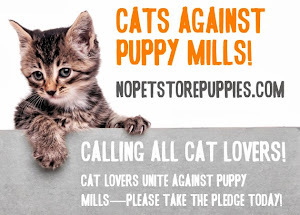 My friend Shilo over at The Shelter Dog's Blog has started a blog hop to promote shelter pets. Well, you all know how important that is to me! I just had to join in! 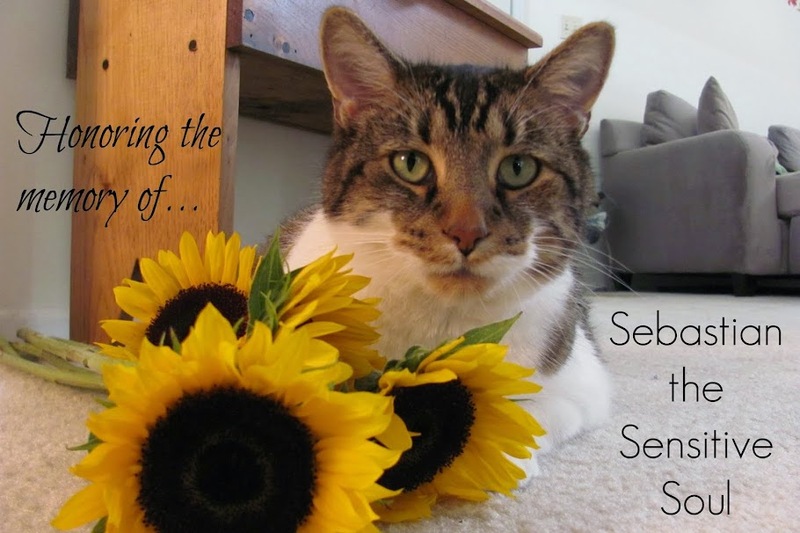 My shelter pet of the week is Sebastian. No, no, not me. This is another kitty named Sebastian. He is available at Wayside Waifs. His old owner had to give him up because of her allergies. He is front declawed, so he must be an indoor cat. Mom says he's really sweet and of course she loves his name! I hope you take the time to check out Shilo's blog and maybe even join the hop yourself!